In today's highly mobile, highly digital and highly connected world, healthcare marketing comes down to one word: consumer. It's no longer enough to prop a billboard up on the side of the highway or hope mom and dad glance at the newspaper ad while sipping their morning cup of coffee. Like every other service industry on the planet, healthcare must comb through terabytes of data to assess patient needs and develop fresh marketing campaigns that cut across multiple distribution channels, especially digital. 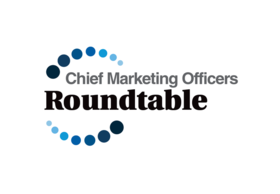 Modern Healthcare Managing Editor Matthew Weinstock recently conducted a roundtable conversation with marketing executives from three organizations whose innovative outreach campaigns won a Healthcare Marketing IMPACT Award. The IMPACT Awards recognize achievements in healthcare marketing and are jointly handed out by Modern Healthcare and Ad Age. Modern Healthcare: Let's start by talking about the campaigns you are being honored for with an IMPACT Award. Patrick, you humanized Cape Cod Healthcare by tapping into employees and patients in the campaign. What were you hoping to achieve? Patrick Kane: One of the things that was a primary driver is that we're a regional healthcare system now. We compete against Boston hospitals, which are world-class. We've done some pretty sophisticated things here in cardiology and neurosurgery, and we thought that would be reflected best by our patients. While we've become a regional referral center, and almost a tertiary hospital in the Cape Cod community, we still want to showcase the expertise that we have here and that's personified by people. There are only 225,000 year-round residents, so the people who come here have trained mostly in Boston, and by putting them out there, it's shown a level of sophistication with a touch of humanizing it. They're friends and neighbors who are highly trained experts in their field. It actually came from our CEO, Michael Lauf, who had seen something similar and thought that was a great way for us to tell our story. Staff were chosen by their directors, managers and supervisors because they embody what our mission is, and they represent the hospital well, during and after work. MH: Dana, somewhat the same question for you. Presence Health is in a highly competitive market in Chicago and you've had a challenge getting a foothold, at least in name brand recognition. As you looked at what you wanted to achieve, how did Presence go about developing the strategy that culminated in the “This is Presence” campaign? Dana Gilbert: Our research showed that about 80% of consumers want a compassionate relationship with their healthcare provider, while only about 22% actually experience it. Often patients feel as if they're treated like a number or as part of the healthcare machine. So we looked at that and really understood what made us different. With our Catholic heritage and our patients-first mentality, we wanted to show that our healthcare professionals are really, truly caring about their patients and that we have a mission to provide quality, compassionate care. MH: Kendra, the Avera Health campaign is a little bit different in that you looked at retooling a website that seemed a bit unwieldy; 9,000 some-odd pages; you had subsites for almost every specialty. What was your mindset in this digital environment? Kendra Calhoun: We had an opportunity to take a new look at what public relations is, and we defined it as including our digital strategy. Digital strategy was tucked underneath public relations for the specific reason of building a relationship with consumers, because we could see where healthcare is going. It's about having that relationship with the consumer. We didn't think our digital strategy could be under marketing because that's a little bit more transactional; public relations is based on a holistic approach and establishing relationships. We put the patient at the center of every decision that we made. We heat-mapped, we did scroll mapping, we did segmenting and lots of questions back and forth with patients about what their experience was like. MH: Have you been able to then trace that back to any changes in terms of appointments, or an uptick in terms of patient usage of Avera? Meyers: Absolutely. We have quite a few case studies that we can point to not only with our website, but then also utilizing our customer relationship management software as far as driving extra utilization to primary care. We saw people using our forms a lot more. We saw our heart screening form, where they can get a $50 heart assessment—it's a calcium score—go up by a 1,000% in the first year it was used. And plastic and reconstructive surgery consultation forms increased by 325%. Our bariatrics, the same thing; went up by almost 500%. So, those catchment tools that were really not utilized very well before, because they were so buried, were now actually driving patients exactly to what they wanted to do. MH: Those are all great starting points for this conversation. All of you brought up the word “consumers.” We've seen a shift over the past handful of years where healthcare is talking more about patients as consumers. How would you define the impact that consumerism is having, specifically on how you market to patients now? Meyers: From a social media perspective, it's the person who's shopping directly for services. But you have to think a lot more broadly because, especially with the boomer generation, their children are more and more influential on their care decisions. So we are really working on social targeting when we're boosting posts, especially when it comes to our women's blog and really targeting segmentation of those demographics and paying attention to the over-saturation that can happen. So the social tools are getting a lot more directive as far as being able to ratchet down who's seeing which messages you're sending out. Calhoun: And we're able to measure that, too. Just the online women's blog that Lindsey referenced, we have about 12,000 subscribers on that and we were able to go in there and mine the data on what patients are asking. We had 138 new patients in the first 10 months, and those new patients actually translated to $2 million of revenue. MH: What goes into that women's blog? Meyers: It's a lot of different topics encompassing our entire continuum of care. We post every day. It's integrated fully with our website, so it links to our services and our physicians who are blogging. It can actually drive them through to schedule appointments if they like the messages they're hearing from our physicians. MH: Dana or Pat, have you developed specific campaigns similar to that, around a segment of your patient population or consumer population? Kane: We haven't done something that similar, but we have done things with our brand journalism site. We've had 505 stories on it in two years and we use that to position physicians as experts in our community. We'll cite studies and interview our physicians. We publish good stories versus sales or marketing PR and we found that when we push these stories out there is an uptick in interest in the physician. We can tie these campaigns to what's happening nationally, what the latest research is, while positioning our physicians as the local experts in healthcare, which they are. Gilbert: We've really focused on using our customer relationship management tool to identify the areas that patients and our consumers are particularly interested in. We have an online magazine that we brand Refresh and we use that, we use the customer relationship management data and information to guide the content of Refresh. Consumers receive a selected sequence of information to move them along the continuum and the path as they're seeking more information related to their condition or health and wellness, in particular. We have an open rate on these in the low- to mid-20% range, so it really indicates to us that we're hitting on the right topics for these consumers as we work with them. MH: Whether it's your social media sites or online publications, how do you keep pace with the ever-changing demands of a mobile and digital audience? Kane: I come from the advertising agency business and I'm a true believer that the work that you do, for the most part, goes into the messaging and what the consumers are looking for and what they want to hear. If you put the majority of your work into the messaging, then everything else is pushing that message out to different channels. It used to be you could do a campaign and do newspaper, radio, television, billboards and direct mail and get 90% of the audience. Now, you've got 20, 30, 40 different channels and you might get 70% of the audience. But if you have good messaging that resonates with the consumers, helps them with their health, helps them with their daily life, helps them take care of their children, gives them confidence in your healthcare services, then I think you push it out to as many channels as come along and craft them and tailor them for each message. Gilbert: We would absolutely agree with all of those components. We really put our focus in the campaign on: What was the messaging and how do we get a message that resonates with the consumers out there? And then, just work through all of the different approaches using the same look. MH: Dana, I want to switch gears slightly. As we think about the changes that are trying to gain traction in healthcare more broadly, like the push to population health and the switch to alternative payment models, how does that factor into how you reach consumers? Gilbert: We've all been talking about that connection with the consumer. A lot of the value-based components and value-based care models that are out there really do relate to connecting patients to the health system, which puts to the forefront making sure that we're always thinking about how the consumer accesses our system. How do we engage and know that this patient, this consumer, is with us? Like Cape Cod, and I think like Avera, we have a full continuum of care, so we also want to explain to the consumer all of the different options and be able to provide what they need, when they need it. If a patient is trying to manage multiple chronic conditions, we want to make sure that we are thinking about how that patient connects with the system, both digitally and through our other offerings. The patient who is basically healthy, but all of the sudden has an episode and needs to access care, how does he find the right primary-care physician office, or immediate-care center, or a specialist? Kane: One of the things that we've really worked hard on and actually incorporated into a hospice campaign that's just concluded, was the notion of the full resources of Cape Cod Healthcare supporting you. It used to be people would go to their primary-care doctor and then they'd go to their specialist and then they might go to a rehab place down the road and a retail pharmacy somewhere else and maybe even go to a third-party chiropractor, whatever. Now, we're trying to reach and educate our consumers about the full resources we have from our primary-care network, to our imaging centers, to our urgent-care centers—which are staffed by our ER docs—to our specialists, to our rehab centers, to our retail pharmacies. Why should we get you healthy, take care of your condition and then let somebody else take care of your medications? We believe that education in the full resources of coordinated care is one way to deliver value to these consumers, and we have a lot of trust in our brand. They've measured it and they really like us, they really trust us, and frankly, sometimes their image of the brand is a lot higher and drives their expectations higher. We grapple with that on the customer service side, but on the marketing side, we're able to use that image so that when we say, “The full resources of Cape Cod Healthcare,” that resonates very, very positively with them. And so that's how we've started to approach it. We're going to get more and more sophisticated and almost have mass customization of our messaging. MH: That's an interesting idea of mass customization and the brand-driving expectations. Lindsey, from your perspective, given the pace of change, what is Avera thinking in terms of being able to stay ahead of what customer needs may be? Meyers: We are really utilizing Net Promoter Scores and looking at how people feel about our brand and how they interact with us when they're coming through our doors. It's been a really interesting journey because we're seeing Net Promoter Scores that are in the high 70s, which is as high as Apple, and we were pleasantly surprised by that. It helps us to look at our brand as being a strength and understanding how to cross-sell to people who are looking to us for that full continuum of care. We also have to really understand what that digital patient journey is. We really focus on those diagnosis and treatment areas, because the symptom areas are really wide open and patients are willing to go to WebMD and some of those big search engines. But it's when they get to that diagnosis and treatment area that they're looking at who their partner is going to be to take them through this journey. That's where we want to be, as marketers, to spend those dollars wisely in that full continuum of care.